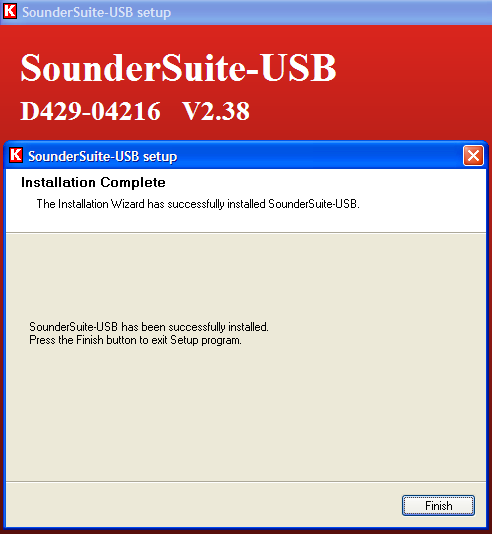 The Chirp 3200 is controlled from a PC running the SounderSuite program. 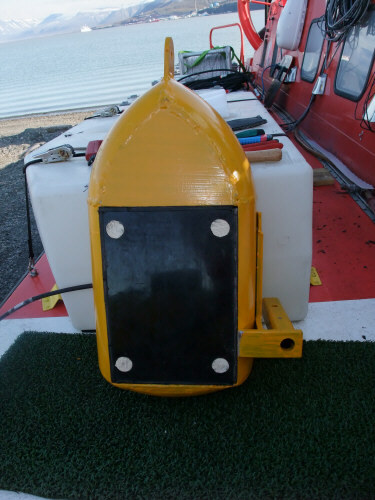 The 12kHz transducer is lowered over the side of an ice floe where the craft is parked or suspended below the hull for underway measurements. Knudsen Engineering 12 kHz transducer for the Chirp 3200. Installed SounderSetup.exe received from Knudsen Engineering (email attachment, 28 April 2010, ref. D.C.). 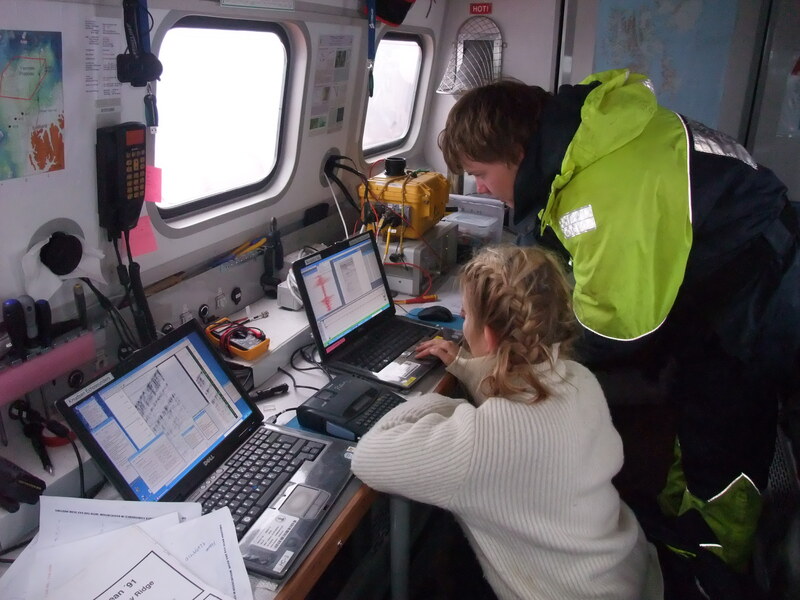 We installed new version of Knudsen Sounder Suite, and performed the firmware upgrade. 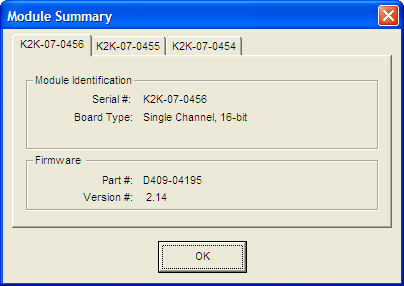 Knudsen firmware, status as of 24 June 2010. 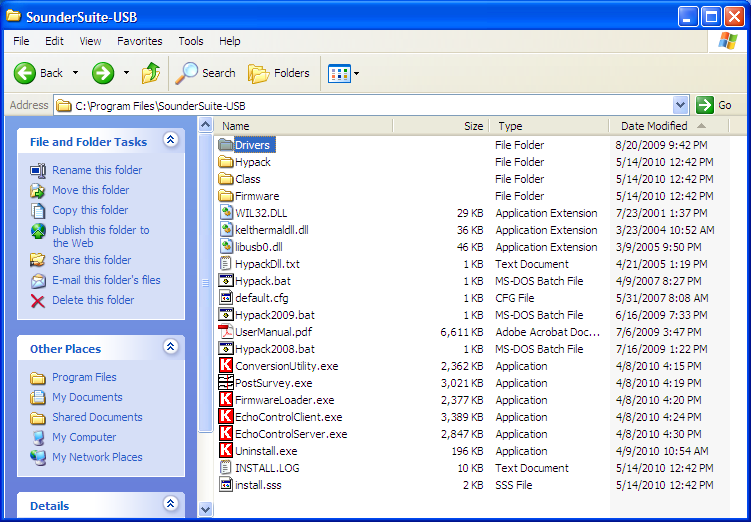 All modules have the same version number: 2.14. 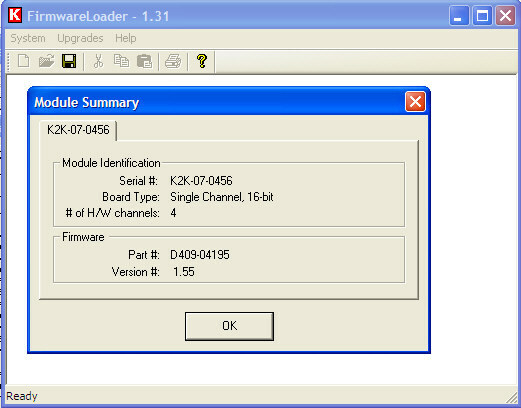 We are updating both Chirp 3200 Firmware and Sounder Suite software. 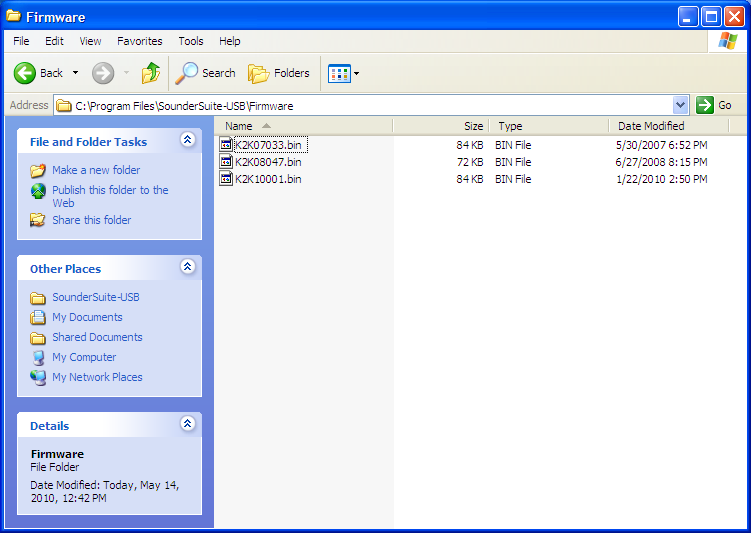 and we used this file for all three channels. When we start the Echo Control Client, all three channels show up as "50 kHz" - see attached screenshot. You will need to reset your factory defaults. 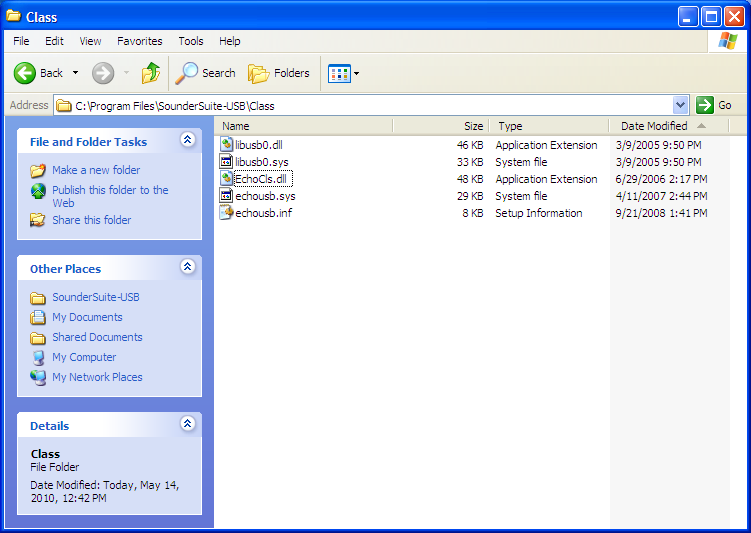 In the EchoControl Client program, go to Setup/Factory Defaults.../EchoSounder Controls. You will get a message box asking you to confirm. 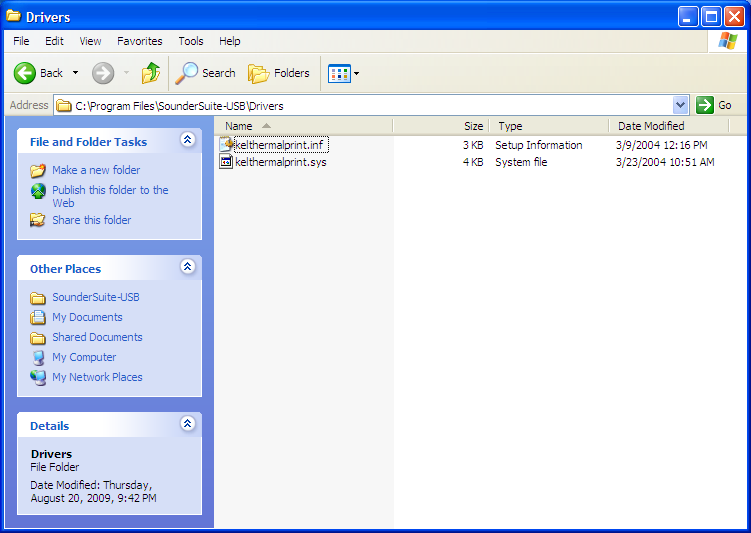 Click Yes and the software will retrieve the correct settings from the sounder boards.